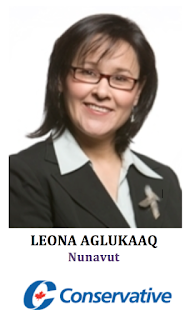 Leona Aglukkaq is Inuk from Gjoa Haven and is the Conservative party’s (incumbent) candidate for Nunavut. -Leona is the Minister of the Environment with additional responsibilities as Minister of the Artic Council and the Canadian Northern Economic Development Agency. She previously served as the Minister of Health. She is the first Inuk Cabinet Minister in the federal government of Canada. -Leona was elected as MLA in the Nunavut Legislative Assembly in 2004 for the riding of Nattilik that includes Gjoa Haven and Taloyoak. She served as Minister of Health and Social Services and Minister of Status of Women. -Prior to her political career, Leona served in various roles in the Nunavut and NWT governments, including Deputy Minister of various portfolios. Hunter Tootoo is Inuk from Iqaluit and is the Liberal Party of Canada’s candidate for Nunavut. - He stepped down as Chairmen of the Nunavut Capital Corporation and has recently taken a leave of absence from Canadian North airline to campaign full time. 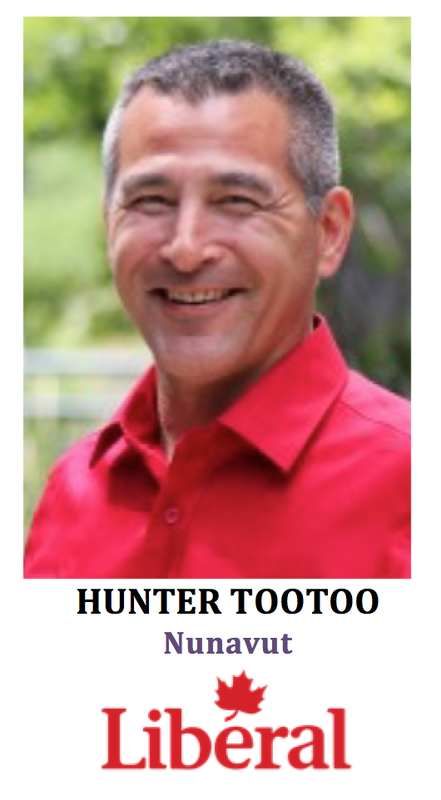 - Hunter was elected a Member of the Legislative Assembly for Iqualit Centre, he was re-elected in 2004 and 2008 and served till 2013. Nunavut Housing Corporation, Minister Responsible for Homelessness, Minister Responsible for the Qulliq Energy Corporation. He was also the Speaker of the Legislative Assembly. 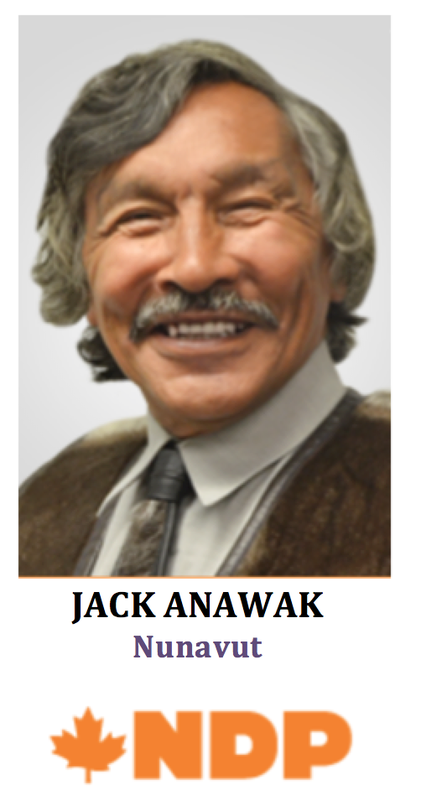 - He has served on the boards of several organizations including: Northwest Territories Co-op Business Development Board, the Sport North Board of Directors, and Arctic Co-operatives Ltd.
-Prior to his work in the public sector, Hunter was a businessman and co-founder of the Iqaluit branch of Arctic Insurance Brokers Ltd.
Jack Anawak is Inuk from Naujaat and is the NDP candidate for Nunavut. - He was a Liberal MP for the former riding of Nunatsiaq (now Nunavut) from 1988-1997. He was the Liberal Party’s Opposition Critic on Northern Affairs. When Jean Chretien’s Liberals won the 1993 election, Jack was appointed Parliamentary to the Minister of INAC. - He was elected as an MLA for the Nunvaut Assembly for the riding of Rankin Inlet, He served as Minister of Justice; Community Government; and Culture, Language, Elders and Youth. -He served He has also served as councilor and Mayor of Ranklin Inlet. 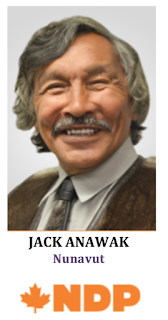 - Jack was the Vice-President of Nunavut Tunngavik Incorporated. Anawak is a former President of the Keewatin Chamber of Commerce. Scott Rochhi is the Green party candidate for Nunavut. - Jack Anawak was a former Liberal MP, Hunter Tootoo was an NDP candidate beaten by Nancy Karetak-Lindell. 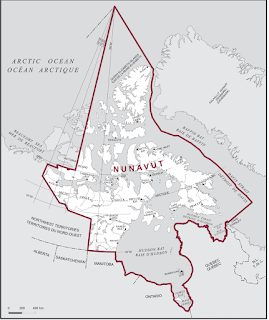 - The riding started off as Nunatsiaq when Nunavut was part of the NWT, it later turned into the riding of Nunavut. 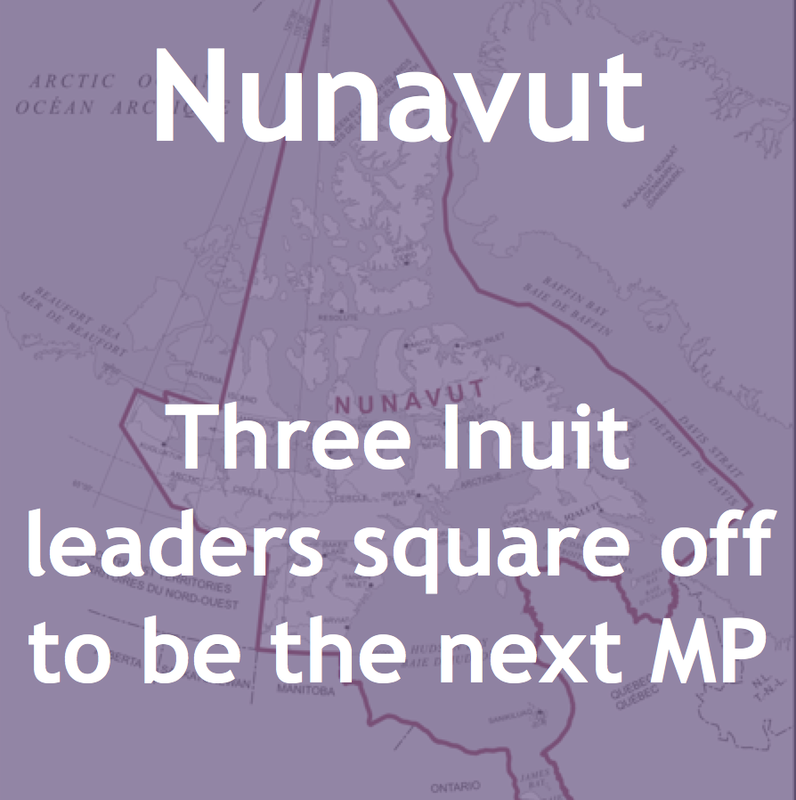 - The riding has a history of electing Inuit MPs and facing off against Inuit candidates from the other parties. 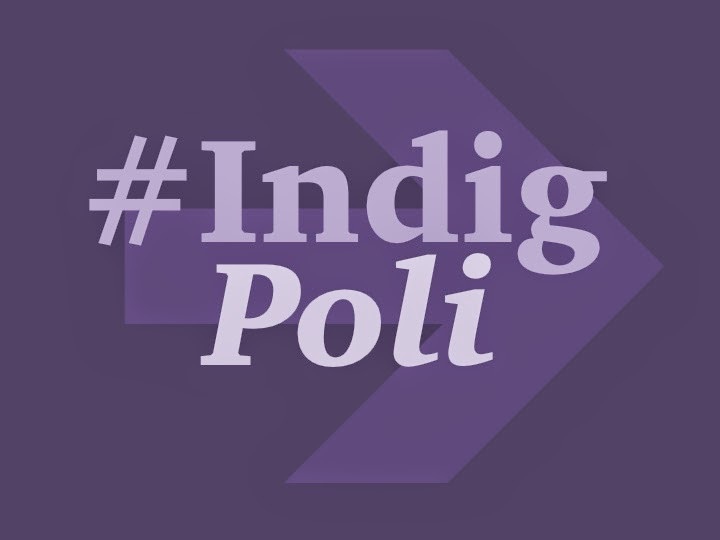 Elected to date: NDP/Liberal Peter Ittinuar, Progressive Conservative Thomas Suluk, Liberal Jack Anawak, Liberal Nancy Karetak-Lindell and most recently Conservative Leona Aglukkaq. 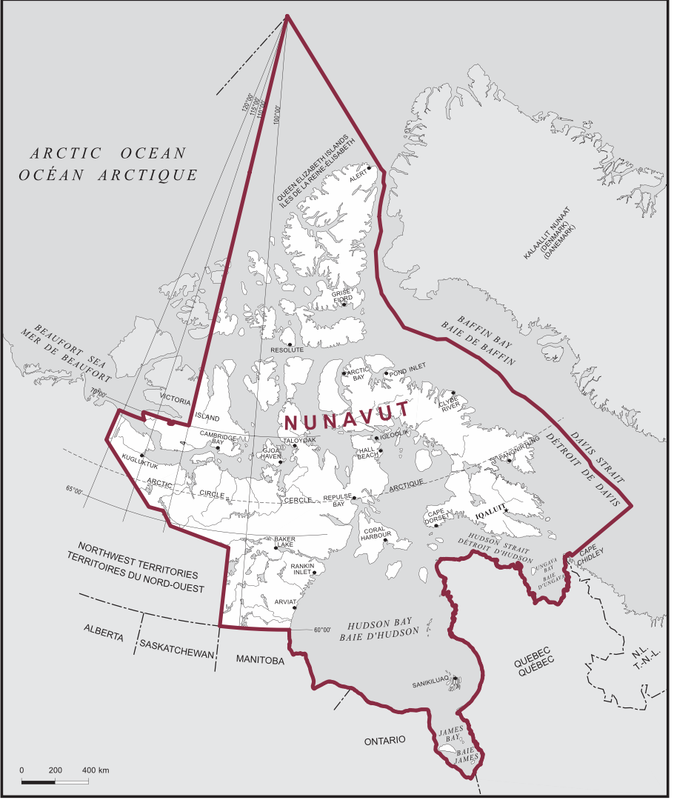 - The Aboriginal population of Nunavut is 86.9% within total Canadian Citizen population (2011 Census). 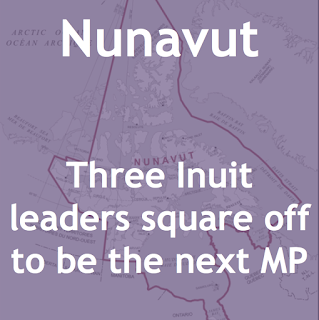 Nunavut is the riding that has the Aboriginal population compared to total.